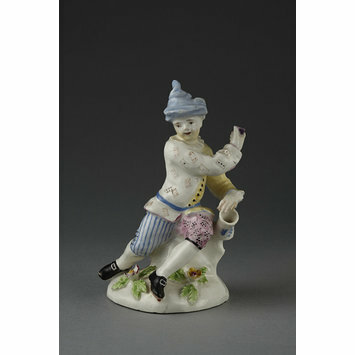 Figure of a man in soft-paste porcelain painted with enamels. 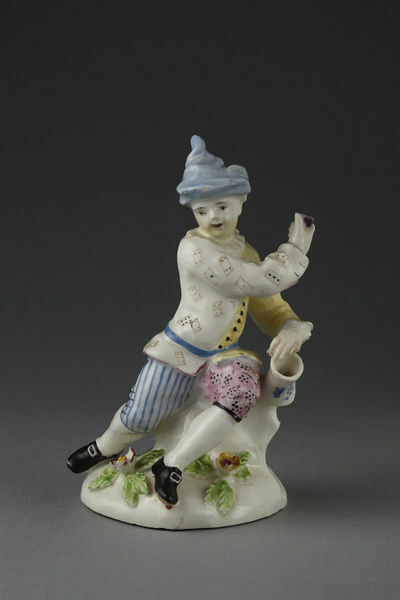 He sits on a mound in a harlequin costume and he holds a jug and cup. Figure of a man in soft-paste porcelain painted with enamels, Bow Porcelain Factory, Bow, ca. 1760.